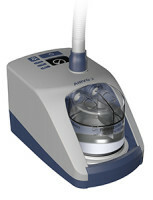 Absolute Respiratory provides a complete selection of home respiratory equipment and supplies. If you require something you don’t see here, please give the office nearest you a call to talk to us about your needs. If we don’t have it in stock, we will order any supplies you require. This technology is manufactured by Fisher & Paykel Healthcare and is a therapy unique to this manufacturer. Designed for spontaneously breathing patients, myAirvo 2 provides high flows of air and/or oxygen mixtures with high levels of supplemental humidification via nasal cannula, mask or tracheostomy mask. The warm water vapour molecules produced by myAirvo 2 provides more effective humidity than traditional systems, as well, it’s compact size and extremely quiet operation make ideal for night and day use. As myAirvo 2 is not funded by the ADP, Absolute Respiratory offers purchase, rental, or payment plans on this exceptional therapy. Please give us a call for more details. Heat Moisture Exchangers are commonly used with tracheostomy tubes to help supplement the humidity that is being bypassed with a tracheostomy. They should be replaced every 12-24 hours, if they are used longer than this they are rendered ineffective. Passy-Muir Valves are special valves used to facilitate speech with a tracheostomy tube. Available in 2 colours (clear or purple), they should be replaced every 3 months. Absolute Respiratory carries both stationary & portable suction systems. Home suction systems are often recommended for patients with Severe Chronic Respiratory conditions that result in difficulty clearing mucus secretions, or for patients with permanent or long term tracheostomies. Suction systems may be partially funded by the ADP if the qualification requirements are met. Absolute Respiratory and your physician can assist with this. Absolute Respiratory carries supplies for oral and deep suction, including catheters, tonsil tip catheters, tubings, canisters and filters. Oral suction catheters should be replaced every 2-3 days, deep suction catheters should be replaced as used, and extension suction tubing should be replaced every 3-4 days depending on use. Absolute Respiratory carries both stationary and portable medication compressors. Medication compressors may be partially funded by ADP, depending if the requirements are met, and can be rented or purchased outside of the ADP program as well. Both mouth piece and mask nebulizer kits are available for use with compressors. We carry different brands of nebulizer kits, which are recommended based on what medications are being used; different medications have different viscosities and work better with certain nebulizers. Depending on your nebulizer interface, they should be replaced at least monthly. Our Tracheostomy Supplies and Medication Compressors are available in-store only. Please give us a call for more details.